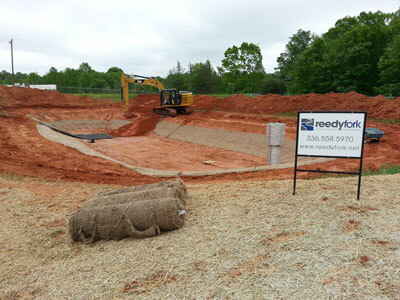 Reedy Fork Environmental and Landscapes is a consulting, management, and contracting firm specializing in the inspection, maintenance, and repair of ponds, lakes, and stormwater best management practices (BMPs). Our goal is to help improve the function, safety, and aesthetics of your amenity, while minimizing surprise, unscheduled, and unbudgeted maintenance repairs. Reedy Fork is owned and operated by Ron Small, an NCSU-Certified Stormwater BMP Inspection and Maintenance Professional and NCDOT-Certified Erosion and Sediment Control/Stormwater Professional. We were established in 2005 and are located in Greensboro, NC.